Biogenic silica is produced primarily by algae called diatoms that account for more than one fourth of the world's net primary production. It is also produced as skeleton by radiolaria and sponge spicules. The siliceous components (opal, in the chemical form of SiO2. nH2O) are potentially excellent phases to reconstruct past variations in the climatic system. 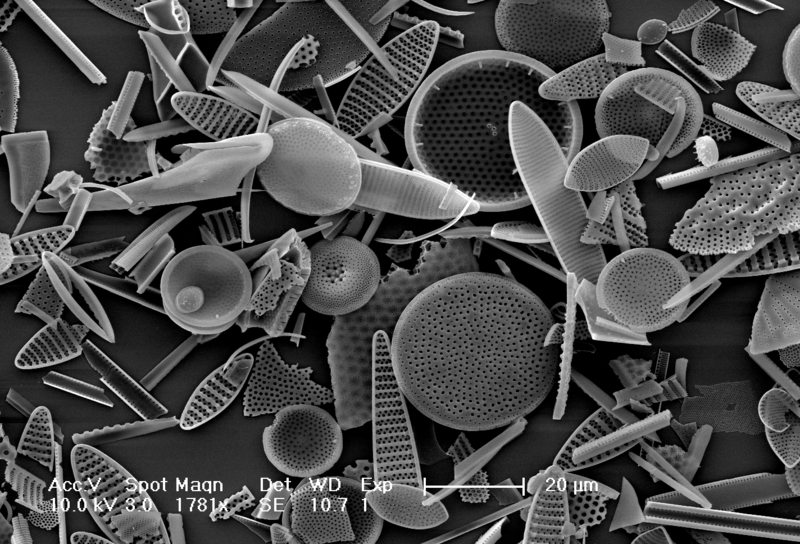 Many areas of the ocean floor that lack suitable calcareous microfossils do contain abundant diatoms and radiolaria. The same applies for high altitude lakes in the tropics and other glaciated mountains. Thus, the isotopic analyses of biogenic silica provide important information about climatically linked parameters of the ocean and lakes through time. We have developed and employed simultaneous analysis of oxygen, carbon and nitrogen isotopes in deep-sea Southern Ocean diatoms and radiolaria and measured high-resolution records of all proxies in the Atlantic, Pacific and Indian sectors. We have also produced climatic records from sediment cores retrieved from high altitude lakes in Africa, South America, Lapland, North America and South Georgia that span in time from few hundred years to ten thousand years.